Illustrated with plans, drawings, b&w photos, and sketches. 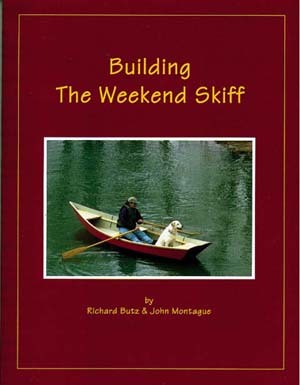 Building the Weekend Skiff offers detailed plans and instructions for building a simple boat at low cost with easily obtainable materials and basic hand tools. The Weekend Skiff is fifteen feet in length, can hold two adults or several children, and is adaptable for oars, sail or a small outboard engine. This is a fun way to spend a weekend and get an excellent small boat easily and inexpensively. The Weekend Skiff is designed for two adults or several children and can be adapted to sail or small outboard. It is a great family project, ideal for introductory boat building courses and for community and school-based boat building experiences. Inexpensive to build, using common tools, several sheets of marine plywood and a few pieces of dimensional lumber, The Weekend Skiff can give anyone access to boat building and a boat.